Today, nearly 40 years after his death, Nobel Prize winner John Steinbeck remains one of America's greatest writers and cultural figures. We have begun publishing his many works for the first time as Penguin Classics. 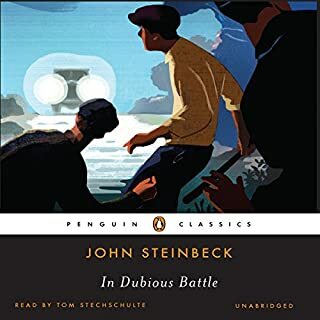 This season we continue with the seven spectacular and influential books East of Eden, Cannery Row, In Dubious Battle, The Long Valley, The Moon Is Down, The Pastures of Heaven, and Tortilla Flat. Penguin Classics is proud to present these seminal works to a new generation of listeners and to the many who revisit them again and again. A funny thing happened to me as I was reading this book - I forgot that Steinbeck wasn't quite being literal. Yet the characters fell so alive, the valley seems like such a real place that you fall into its spell almost immediately. Not until the end when the tourists are looking down into the valley (much like how the book begins) do we feel how Las Pasturas del Cielo is a promised land and we are all still wandering around the dry California scrag like so many little American Moses'. I wonder how someone who has never lived in America would feel about this book? I've been reading a lot of novels from Russia and I always wonder what it is I'm missing because I am, in fact, unaware of all the nuance that a Russian author would take for granted of his Russian reader. And would a Russian not quite feel everything that an American would feel reading Steinbeck? The distance that separate us socially as a culture, our yearning for something new and to always be on the move, the easy calm mixed with religious firmness ... are these things unique to America? 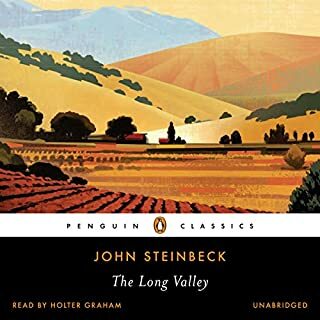 I do know that Steinbeck writes about the inner yearning and nostalgia and dreams of Americans with an ease as gentle as the calm breeze of the valley of this book. He's writing about ideals, about something much more firm than a place in the ground - he's writing about us as a people in all our varied eccentricities, our hopes and our failures and above all, our idea of what we want our lives (and our country) to be about. Here in this book is a place where harsh politics and extremist religions are tempered with hard work, good neighbors and family. People are good, and though they may not always see eye to eye, they know how to work out their differences honorably. That's why Las Pasturas del Cielo isn't a real place, and that's why the tourists at the end can't seem to figure out that living in heaven is as simple as just walking out of the desert and into the valley. Life is complicated, life moves quickly, we grasp onto things that aren't really firm in hopes of finding happiness in things. And yet Las Pasturas del Cielo is still there, waiting, and hoping we will all get our acts together, put aside the things in life that aren't really that important, and just 'go home'. Steinbeck is writing about a very conservative ideal, but it's the American ideal. It's quaint, it's hard work, but it's full of a joy and a simplicity we wish we had more of. Anyway, this is a wonderful book but it's easy to forget what an artistic masterpiece this is because of its simple, idealist subject matter. 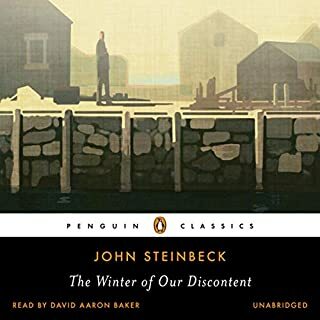 Steinbeck very simply and vividly created an entire community full of living breathing people, he described the very minutest details of everyday people, and brings them to life with a uniquely American economy of words. And each story grows more mature as the book goes on, the themes a little darker, more bittersweet, but always hopeful. I suppose a lot of readers would find the book old-fashioned, its art antiquated and its subject matter far too conservative, but there for a book about a place that doesn't exist, there is something firm here that I can feel in my very soul that no postmodern expression could ever hope to capture. This is a book about how we could be as much as it is about how we are. It's about a place that has never existed but we wish existed. It's a book that everyone should read after taking a deep breath. 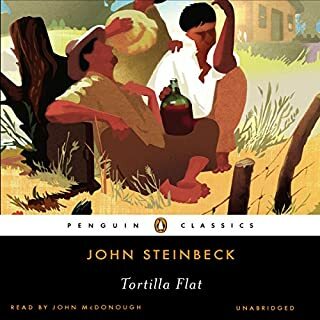 I hope Steinbeck will soon enjoy a renaissance because too many school kids have been forced to read him when they're far too young to really get him and so think of his as some quaint American throwback. Yet there is real art here and it's a kind of art we could stand to have a little more of. These short stories are lightly couple by their connection to a beautiful valley in Monterey California. I was entranced, moved and entertained by these wonderful short stories. I love short stories and love Steinbeck so perhaps this combination was destined to please me greatly. These stories merge the ordinary with the magical, the commonplace with the extraordinary, and the straightforward with the intricate These are among the best short stories available on Audible. A great collection of inter-related short stories...if you like Steinbeck, you will love this book. I read the print version many years ago, and I enjoyed the audio version greatly. 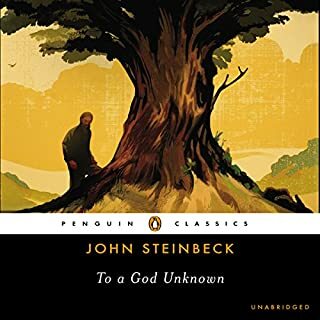 Steinbeck loved people, and he presents here some touching, engaging stories of common folks. This book is similar to his The Long Valley. How Do You Paint a Dream? Would you consider the audio edition of The Pastures of Heaven to be better than the print version? Steinbeck's words are best experienced with your eyes closed. His words brush the canvas of your mind like no other. It is hard to read print with your eyes closed. I liked the way that each short story loosely linked with the others and their characters. The exact timeline of each story was left for the reader to determine. The conclusion of each chapter left me hungry for the next. He is so relaxed in his delivery that I accidentally dozed off a few times and had to find my place again after I awoke. Having spent several years working and living in and around the Salinas Valley, I am somewhat familiar with the terrain and surroundings. 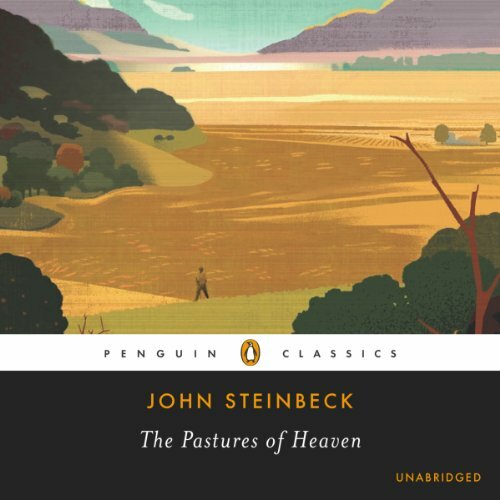 However, the Pastures of Heaven was a fictional oasis within this already beautiful countryside depicted only as John Steinbeck could do. I am now 4 or 5 books short from completing all of Steinbeck's works. Pasture's of Heaven was my favorite. I think he could write a book about watching paint dry and he would find the words to make it interesting. I loved how quickly the storyline morphed into one another, it really kept me engaged. The narrator was amazing. I'm going to do a quick search for his name to find more books read by him! This is an excellent listen. More beautiful writing by Steinbeck. I loved these vignettes that wove into a living history of time and place. "Painterly" came to mind. The reader has a obvious lisp. Very difficult to understand, thought it was a joke. What disappointed you about The Pastures of Heaven? after listening to East of Eden and The Grapes of Wrath, which I thought were wonderful! I was disappointed by the seemingly unconnected short stories in The Pastures of heaven. I stopped listening halfway through. Would you ever listen to anything by John Steinbeck again? 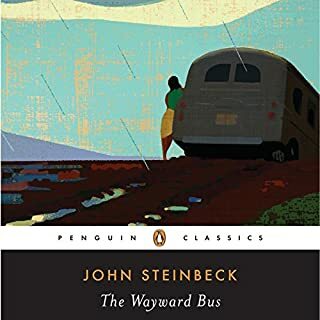 I love John Steinbeck and all his works; his writing is so good and so deeply felt that I have never read another author who feels his craft so deeply, especially in America who write realistic fiction; the only other writer in my opinion who writes deeply but doesn’t write realistic fiction is Ursula K le Guin, so Steinbeck is up there. This is only his second work, but you can see how close he is to being the man who wrote The Grapes of Wrath and Cannery Row and East of Eden. I adore his stories and they are so alive and vivid and told with such candour and humanity and humour that I’ve never seen a rival. I hope that Audible produces a reading of East of Eden. Steinbeck for the win! !